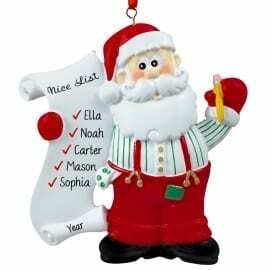 Make every Christmas one to remember by purchasing a unique Christmas ornament! 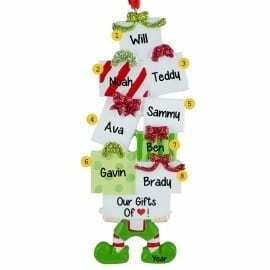 Whether you choose to deck the halls with snowmen, gingerbread, elves or Santa Claus – Personalized Ornaments For You is your #1 source for fun holiday decorations that are bound to add a little whimsy to the family Christmas tree. Our store features all the perennial favorites such as candy canes, snowflakes, penguins, polar bears, snow globes and even pickles! 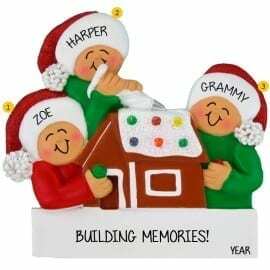 Select a photo frame ornament to add to your holiday décor or hang on the tree as each one of these decorations can do double duty! Another idea on trend right now is our monogram or initial claydough ornaments. Now everyone can be included! 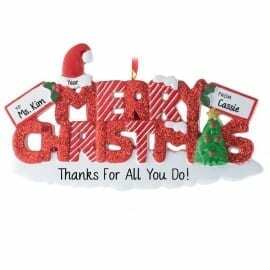 Shopping in our personalized Christmas themed ornament section is a breeze since we offer some of our most affordable gift ideas right here. 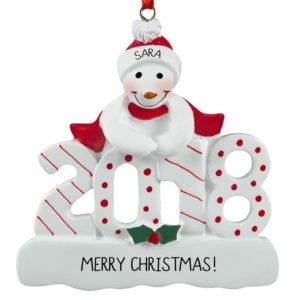 Whether shopping for a grandchild, co-worker or teacher, these unique Christmas decorations include free hand personalizations.